Prototypes of the of the BMW i3 and the Chevrolet Spark EV have proven the viability of the Society of Automotive Engineers industry standard for DC Fast Charging stations. Teams from both firms worked together to affirm the DC “Combo” Fast Charge stations, developed by various suppliers, confirmed the functionality of the SAE standard, breaking a logjam to the wider acceptance of electric vehicles and assuring a uniformity in Fast Charging that will eventually help to reduce so-called range anxiety. This early confirmation of DC Fast Charge hardware and software, tested by the industry, will certainly accelerate the rollout of SAE Combo DC Fast Charge infrastructure sooner. Companies that participated in providing Fast Charge stations for the testing exercise included ABB, Aker Wade, Eaton and IES. This industry cooperation is required to avoid the kind of system competition that occurred with varying charging systems in California, adopted by various manufacturers of electric vehicles. To avoid a replay of the system dichotomy, the major automakers of the world have adopted SAE’s 120V/240V AC connector as standard, to assure access to all charging infrastructure by plug-in vehicles, regardless of vehicle make or model. The whole point of the new standard is added user friendliness to DC Fast Charging from a single charge port capable of accepting a faster flow of electricity. The net effect is to make EVs more functional for consumers otherwise unable to conveniently recharge overnight in an urban environment. DC Fast Charging can achieve 80 percent recharge in less than 20 minutes. 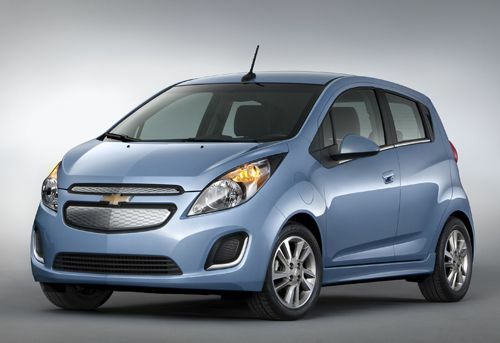 Notably, the BMW i3 and the Chevrolet Spark EV will be the first vehicles to offer the new SAE Combo DC Fast Charge connector. DC Fast Charge is expected to be available when the BMW i3 launches in the US.